Saltaire Archive will be closed from Tuesday 19th December until Thursday 11th January. …experiences of a tunnel guide. Heritage Open Days is England’s contribution to the European Heritage Days and has since grown into the country’s largest heritage festival. The aim is to throw open the doors to historic monuments and buildings, in particular those normally closed to the public. For two days only on the weekend of the 9th and 10th of September the tunnels under Victoria Road and Exhibition Road were open to the public for the very first time to celebrate Heritage Open Days. The event was organised by Saltaire History Club and involved a lot of planning and negotiation to ensure the event happened; risk assessments, press releases, radio interviews, etc. All credit due to Dave Shaw, Les Brook, Maggie Smith and Colin Coates for making it happen. When the appeal went out for tunnel guides I was willing to be involved and was allocated to join the team guiding the Exhibition Road tunnel. I was slightly apprehensive about leading a group through the tunnels and delivering a talk to the visitors. I needn’t have worried. All the guides were given thoroughly researched scripts which we could read and digest prior to the event and have them with us to read in the tunnels. Also to my great relief the guides worked in pairs and I was very lucky to be partnered with two very knowledgeable local historians Letitia Lawson in the morning and Colin Coates in the afternoon. They certainly knew their stuff – and we bounced off each other really well. I held on to the fact that that I was in the good company of Saltaire experts who would know the answers to any questions that might be asked… There were ten large display boards which were the focus for our talk and this really helped with the flow of the tour. I duly arrived on Sunday Morning and braced myself for a long day. I had talked to my friend and fellow guide Sandi Moore who had been on duty on the Saturday – she warned me it was full on and exhausting, and that there was an overwhelming number of people wanting to do the tunnels tour. My main worry was how the public would react to the trip through the tunnel – after all the tunnel is only a short distance. But everyone loves a tunnel don’t they – young and old alike and this indeed was the case. Just being down there in the gloom in a place where no-one had been for years created a real sense of the past and provided a great atmosphere. Some of the visitors were thrilled to meet Nicholas Salt (great-great grandson of Sir Titus and great grandson of Titus Salt Junior) who made occasional pop up appearances in the tunnels throughout the weekend. We also injected a little fun into the proceedings. The World Heritage site of Saltaire has a footprint and the boundary of the site falls right across the middle of the tunnel in Exhibition Road! We had placed a line of tape across the floor and invited the children to jump over the line out of the WHS, with the adults following. So they jumped from Saltaire into Shipley. This caused great amusement and also surprise as many people assumed that the Shipley College Exhibition Road building was included in the WHS. Another cause of great amusement was an image of an overstuffed walrus from Hudson Bay which was one of the exhibits on display at the “The Royal Yorkshire Jubilee Exhibition” of 1887. The walrus appears stretched and ‘over stuffed’ as it lacks the skin folds characteristic of a walrus in the wild. Over one hundred years ago, only a few people had ever seen a live walrus, so it is hardly surprising that it does not look true to life. The stuffed walrus is still a popular exhibit in the Horniman Museum in London. As soon as each tour finished and we emerged from the tunnel we could see the next line of visitors waiting. One of us concluded the current tour and the other guide raced over the road to get the next tour started. It was a case of back to back tours all day – great fun but exhausting. Many people were not to be able to enter the tunnels due to limitations of numbers on each tour and this caused some disappointment. But over the two days we gave 52 tours (26 in each tunnel) and approximately 624 people got to enjoy the tunnels. Result! Big thanks must go Salts Mill and Shipley College for allowing access to the tunnels. Thanks to all who have contributed already to the “Adopt a Box” scheme launched on 25th August. Saltaire Stories invites local businesses, residents, individuals, families and community groups to support the Saltaire Archive by becoming adopters. Each box in the Archive holds items ranging from private papers of the Salt and Roberts families to personal collections donated by people who lived in the village and/or worked in the Mill. The Archive is owned by Shipley College, in trust for the community. Volunteer archivists care for thousands of documents, images and artefacts (further details on the Saltaire Archive page of this website). This year, thanks to Heritage Lottery funding for the Saltaire Stories project, archive consultants have worked alongside the volunteers. Saltaire Stories aims to secure further Heritage Lottery funding to get key aspects of the Archive accessible on line. You can help to make the Archive accessible to people wanting to learn about Saltaire’s heritage – with your gift recorded for all time! Adopters will receive an ‘adoption certificate’ and have their name(s) entered in a special ledger to be retained in the Archive. A minimum contribution of £100 for each box is needed to reach the target of £14,000. Several contributors can club together for a box if they wish. To become an adopter, please download the letter and form adopt-a-box. Our third annual workshop to sharpen the educational aims of Saltaire Stories was held on 18th July. Last year we had 17 participants, this year 30 people attended – a tight fit around five discussion tables in Shipley College’s Learning Resource Centre! Discussion underway – the Saltaire Archive Room door is visible in the background. 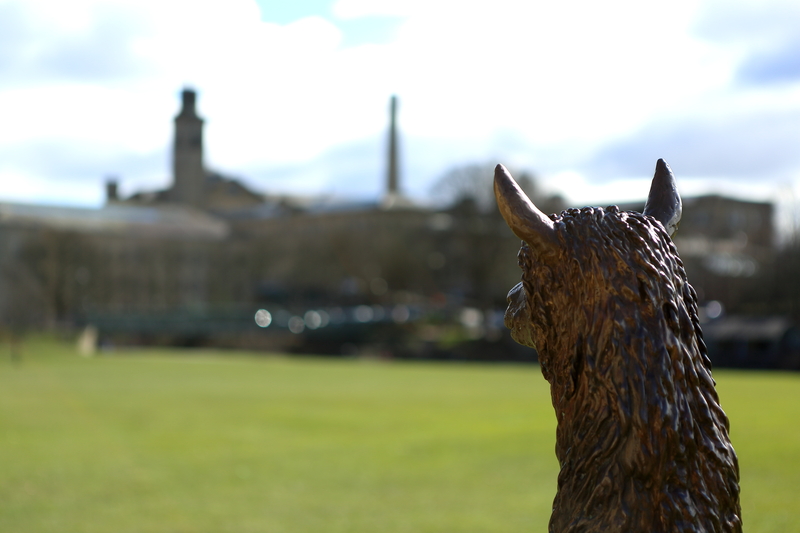 Where does Saltaire as a learning resource fit within your wider work? What links do you have with holders of Saltaire-related material? How can learners be informed of resources, activities and programmes of study with a Saltaire connection? The session showed a wonderful variety of ways in which Saltaire is used for both formal and informal education. As we know from World Heritage Weekend, Saltaire Festival, Saltaire Arts Trail etc. many organisations co-operate already to present activities. There is a shared vision to make Saltaire better known and used as a “world classroom”. Saltaire Stories is committed to finding effective methods! Our workshop findings will be made available as our first year of Heritage Lottery funding concludes and we prepare our Stage 2 bid for work in 2017-19. Are you ready? World Heritage Weekend 2016 is approaching fast: Saturday 16th & Sunday 17th April. A gentle stroll, conversation, things to look at, things to do. Connect with generations past, escape from urban toil to relaxing countryside. The Brigantes carved cups and rings, Victorians made tramways, gardens and fairs. Soldiers learned to fight, young couples promenaded in the park. Holly trees and flowers bloom, Owzat! mingles with applause for music at the bandstand on a Sunday afternoon. World Heritage Weekend 2016 will be largely outdoors, taking in the delights of Saltaire, Roberts Park and Shipley Glen. Activities will not be stopped by April showers! So take a walk with Saltaire Stories. See the World Heritage Weekend page for the full programme.